Our Valentine’s Day weekend didn’t really pan out as we had planned, but it was a nice weekend anyway. On Friday night, some friends were going to watch Emma while Travis and I ate a Papa Murphy’s pizza at home, played Scrabble, drank beer/sparkling cider, and chilled. But our friends ended up being sick, so Emma stayed home with us. We still ate pizza but we played with Emma and watched hockey on TV instead. Saturday, I made Overnight Blueberry French Toast Casserole for breakfast. I had had it for the first time at MOPS and it was amazing. 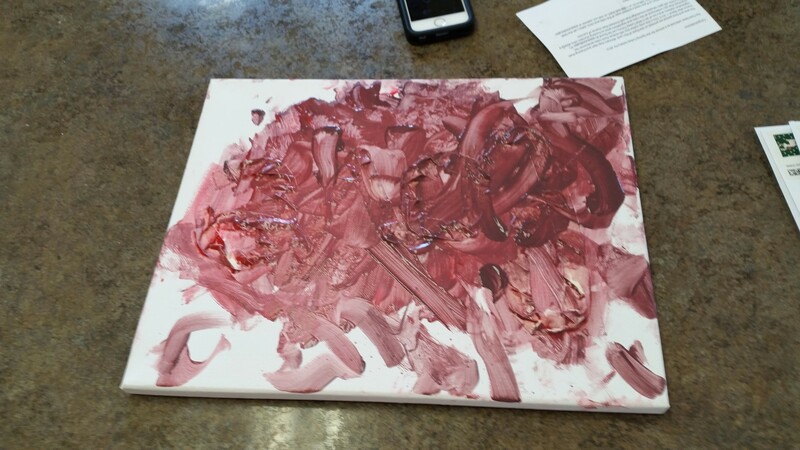 Sadly, my version did not measure up completely. Considering how much work it is (I hate prepping things the night before), I probably won’t make it again. For most of the day, we just hung out at home, playing and picking up after Emma. After lunch, Travis headed into town to run some errands and worked a bit. I honestly don’t remember what I did while Emma napped, but I’m guessing it was some version of tidying up, reading and napping myself. After Emma woke up, we went out to eat at Buffalo Wild Wings. 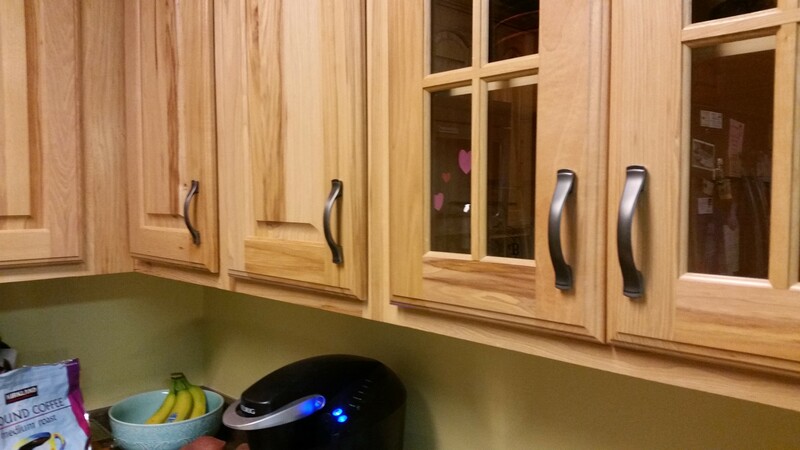 We figured that was a safe bet on Valentine’s Day, since it’s always a madhouse in there anyway. I read a bit and fell asleep. About 1.5 hours after Emma had gone down, she woke up and I held her while she slept for another 1.5 hours. I used to get frustrated when that happened, but when I plan on taking a nap myself anyway, I really don’t mind. I don’t sleep that well holding her, but it’s better than chasing her around! So the weekend wasn’t very ‘romantic’ you could say, but Travis and I are getting away for a night at the end of this month, so we weren’t too bummed. 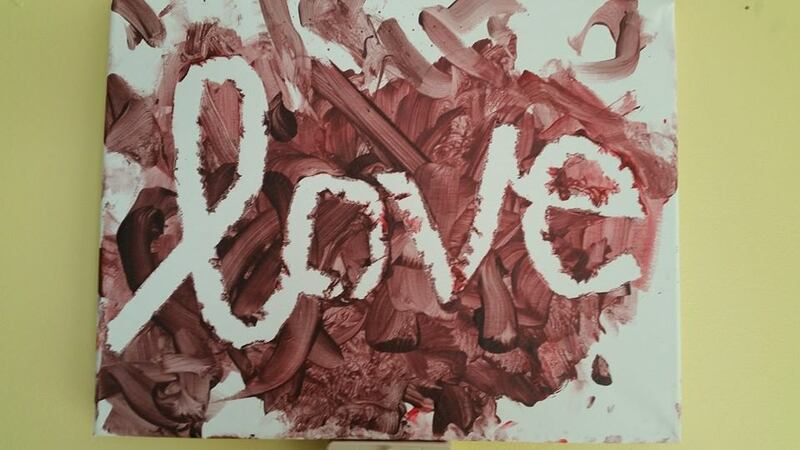 I also took a blank canvas, wrote the word LOVE on it with masking tape, and let Emma go to town with paint. 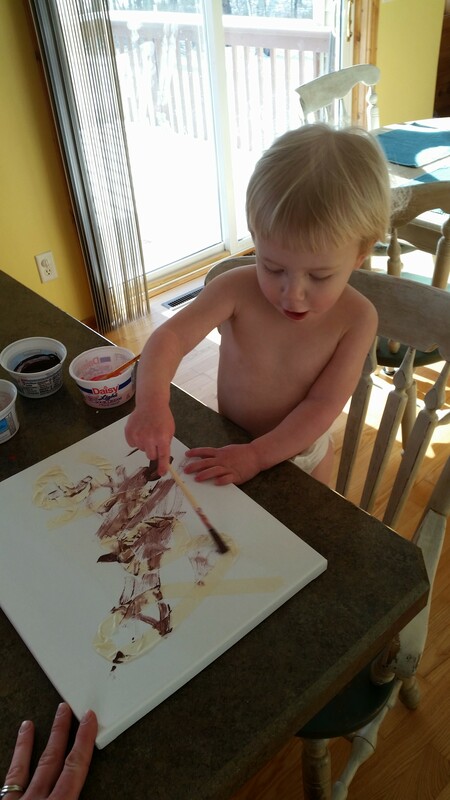 It took some coercion to get her to paint the whole thing, instead of just paint and repaint the same 6-inch square, but I think it turned out well. 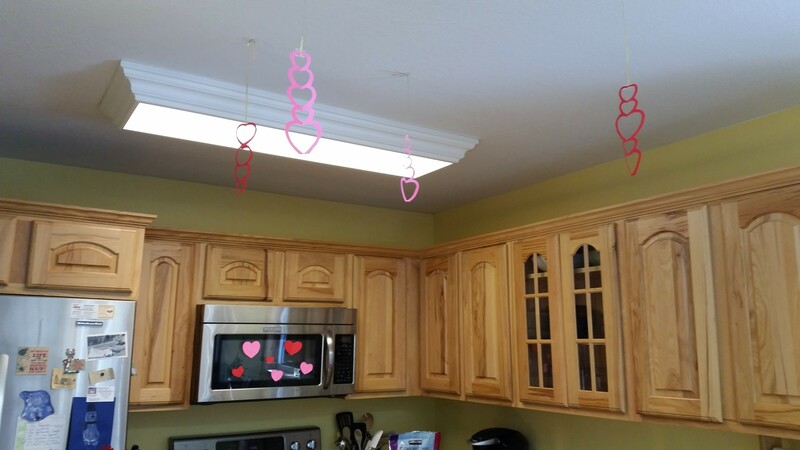 Kid-made Valentine’s Day decorations! 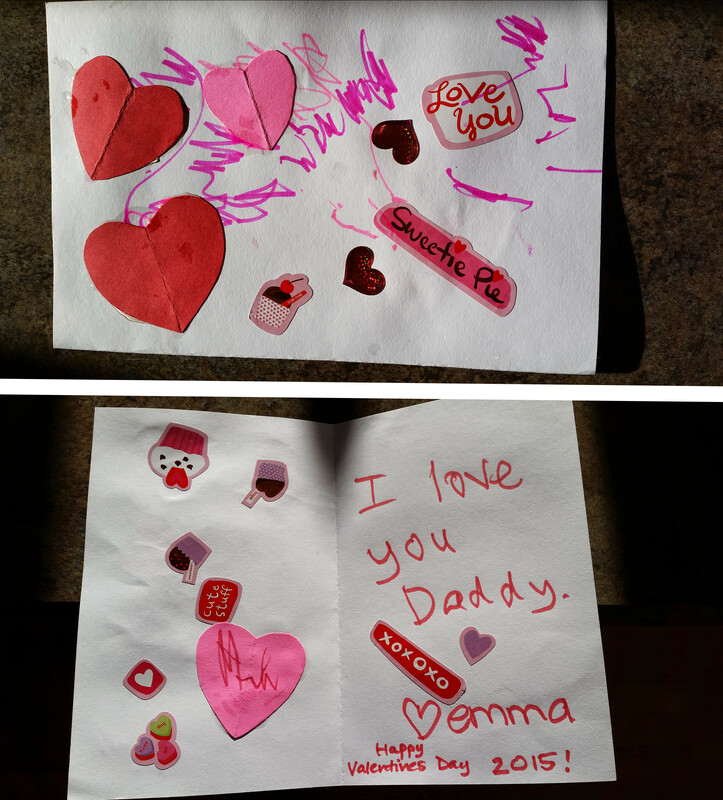 Emma’s “love” art is so cute! What a great idea. We kept it low key around here for V Day too. What hockey team do you guys cheer for? Will Emma watch it? We cheer for the Minnesota Wild and the Minnesota Gophers (college). Emma doesn’t watch at all, haha.